Go to your closet. 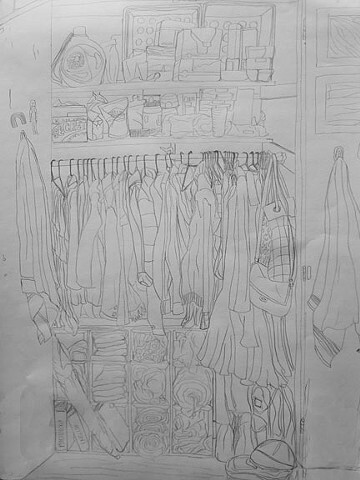 Sit down and draw all of the contents within your closet using only a contour line. Fill the entire 18x24 page. Use a pencil and a sheet of “nice” paper.